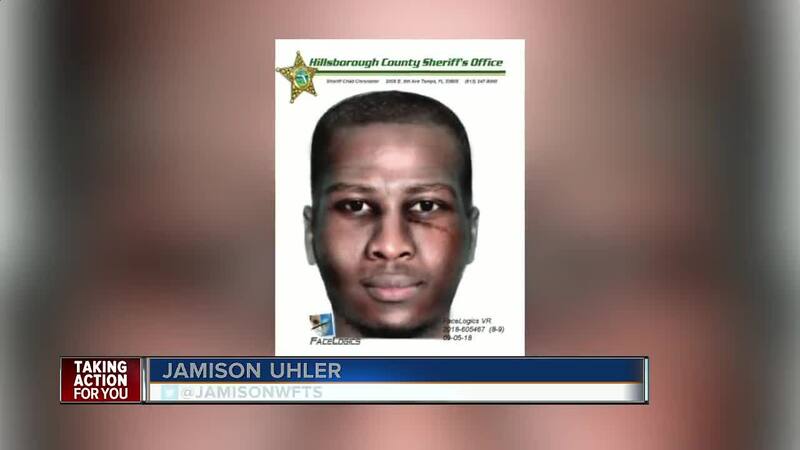 TAMPA, Fla. — The Hillsborough County Sheriff's Office is searching for a suspect they say is targeting homeless women in Tampa. The suspect is described as a clean-cut and muscular black male aged 35 to 40. Officials say he's between 6 feet 2 inches and 6 feet 4 inches tall, weighing between 225 and 250 pounds. He also has a bumpy scar underneath his left eye. On the night of August 5, a homeless woman was sleeping on the sidewalk in front of a business when she was approached by a black male riding a bicycle. The man asked the woman for a sexual act and when she refused he grabbed her, according to the sheriff's office. The woman was able to break free and run away. "She fought that person off and escaped," said Danny Alvarez with HCSO. "But in the interview, during the investigation, she revealed that there was a second person with very similar facts." Detectives interviewed the victim and learned that a man matching the description approached another homeless woman in April of this year. After detectives located that woman she told them she was walking along railroad tracks when she was attacked and sexually battered. The suspect was last seen wearing a polo shirt, white shorts, and white Nike tennis shoes. He was riding a white bicycle with thin tires and a red flashing light on the back, according to the sheriff's office. "This is a crime where just because they're homeless doesn't mean we take it any less seriously," said Alvarez. "In fact, we want to make sure that when someone's targeting somebody like the homeless, we're going after them." 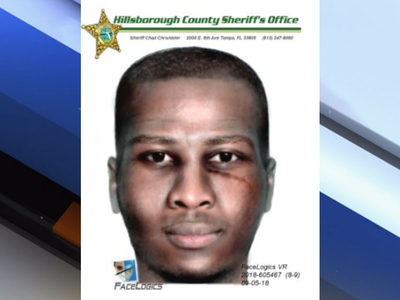 Anyone who recognizes the suspect is asked to call the Hillsborough County Sheriff's Office at 813-247-8200. To be eligible for a cash reward send tips to Crime Stoppers anonymously online , or by calling 1-800-873-8477. There are several places in the Tampa Bay area for homeless women seeking safe shelter. Metropolitan Ministries offers housing in both Hillsborough and Pasco counties. Metro Ministries Outreach Center is located at 2301 N. Tampa Street. The Salvation Army Emergency Shelter is open 24 hours a day, 365 days a year for men and women in need. The shelter is located at 1514 N. Florida Avenue in Tampa.